Leonie Le Borgne is a Technical Advisor at the Start Network and an Associate Research Fellow at IRIS. She works in the Anticipation team of the Start Network which forecasts, funds, and mitigates predictable disasters around the world, and her role centres on growing networks of pre-emptive thinkers at national, regional and global levels. Before this role Leonie worked in the Interagency Regional Analysts Network, heading communications across partners of the Network – Action Against Hunger and IRIS. 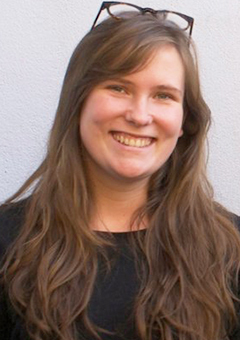 Prior to this role Leonie worked at a humanitarian membership organisation in Geneva, coordinating a course on international humanitarian law, and has prior field experience in the Philippines, East and West Africa. Leonie holds an MSc in Conflict, Violence and Development from the School of Oriental and African Studies in London, and a BA in International Relations from the University of Sussex.